Laguna Beach, California is a booming beach resort steeped in history, and it boasts a mix of culturally diverse and family-friendly attractions. 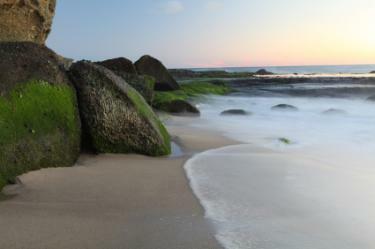 Along its seven miles of sand and surf, you will find pieces of art, animal centers, and natural wonders. If you are lucky enough to visit during the summer, you'll have the chance to enjoy the fabulous weather, as well as some of this city's many art festivals. 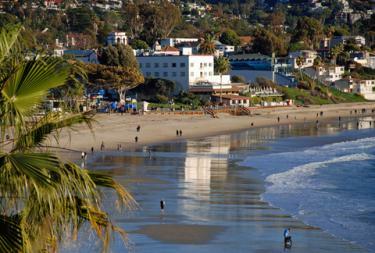 As you'd expect from such an upscale area, you can stay at one of Laguna Beach's many luxury hotels while you're there. According to the official Laguna Beach website, this city has a total of 27 beaches. As the following selection of beaches shows, each one differs from the next, and all of them have something to recommend them. Treasure Island: A large sandy beach, Treasure Island can get crowded during the summer, but there is no better place to lie down and catch the sun. West Street Beach: Traditionally a beach frequented by the gay and lesbian community, this beach now also attracts a straight crowd as well. Aliso Beach Park: With its wide sandy beaches, Aliso Beach makes a great place for families to spread out and play beach games like volleyball and soccer. In July, the beach hosts the skim boarding world championships. Boat Canyon: Only 400-feet long and with a mostly rocky terrain, the Boat Canyon will never attract a large crowd. However, it does make the perfect spot for people who want a little privacy. Cleo Street Beach: Cleo Beach is perfect for people who like to snorkel and dive for treasure. There's a 50-year-old shipwreck just 200 yards from the beach. Sleepy Hollow: With excellent waves at its southern end, Sleepy Hollow is the premier spot for body boarding. St. Anne's Beach: How do you know the best place for surfing? All the locals go there! St. Anne's Beach is almost exclusively populated by locals of all ages. In 1918, an artist named Edgar Payne opened up one of California's first art museums in Laguna Beach. As the tourists came, the town's reputation for hosting the arts grew. Soon a theater was erected and an annual arts festival was established. If you are an art lover, consider visiting the following festivals. Festival of the Arts: This summer festival includes works from local artists. 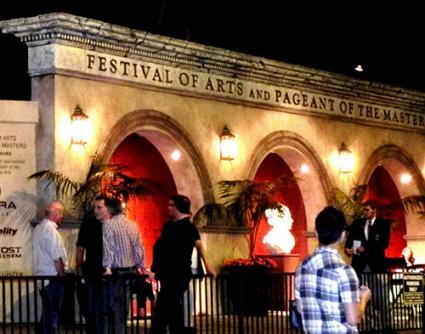 In addition, the festival includes the Pageant of the Masters, where classic works of art are recreated in a real-life tableaux as actors pose as figures in masterpieces. This pageant has become a model for similar art performances all over the world. Thursday Art Walk: One of summer's many art festivals, the Art Walk features more than 40 galleries, artist demonstrations, exhibition openings, and more. Art buffs may want to schedule their trips around the first Thursday of the month to be sure to take in this unique art display. Sawdust Festival: This semi-annual arts and crafts fair takes place in the summer and winter. The event brings together local crafts people and artisans from around the Western United States to showcase their wares. Downtown Laguna Beach is steps from the sand and surf, and is filled with galleries, boutiques, restaurants, and family-friendly attractions. Pacific Marine Mammal Center: Located on Canyon Road, the Pacific Marine Mammal Center is a non-profit organization that rescues and rehabilitates marine mammals stranded on the shoreline. Art-a-Fair: Artists throughout the United States gather here to sell their pictures, work out in the sea air, and chat with anyone that wants a quiet word. It is a great place to stroll through, and you can enjoy a variety of live music on the weekends. Laguna Beach Playhouse: Dedicated to delivering quality since it first opened back in 1920, the Laguna Beach House provides entertainment for kids, adults, and the entire family. Recent attractions have included the Beatles tribute band Britishmania. Dolphin Safari and Whale Watching: Sailing aboard a catamaran, your captain will take you out to sea to view the whales and dolphins. You can even take advantage of a viewing pod to look at the animals underwater. Crescent Bay: Crescent is a diving spot for beginners. There are three places that people dive from, and each is manned by a lifeguard. 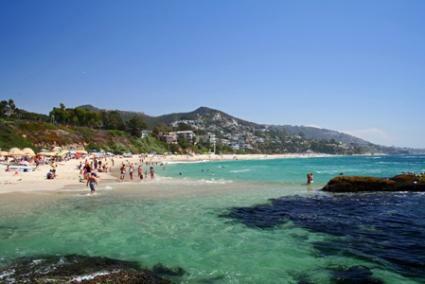 Laguna Beach is famous for its scenery and ideal weather. With hills and canyons framing the beach, anyone who enjoys incredible scenery won't run out of places to visit in this coastal town. No trip to Laguna Beach would be complete without touring the following natural wonders. 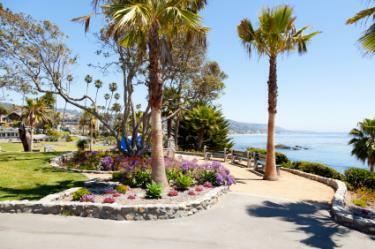 Heisler Park: Enjoy the many scenic trails and picnic areas in the place many people refer to as "the most beautiful park on the California coast." Laguna Coast Wilderness Park: Situated within the last of the coastal canyons in Southern California, this park features hiking trails for all skill levels. Crystal Cove State Park: Situated between Corona del Mar and Laguna Beach, horseback riders, mountain bikers, and even scuba divers will have a ball exploring this park. Aliso & Wood Canyon Wilderness Park: Plant lovers can experience year-round beauty at this wilderness park in nearby Laguna Niguel. Laguna Beach is home to an array of fine restaurants. Here are a few highlights. Las Brisas Restaurant: This restaurant is situated on the cliffs above Laguna Beach, directly behind the art museum. Fine Mexican beach cuisine and seafood are offered in a beautiful setting. If you don't have time for lunch or dinner, just pop in for a cocktail on the outdoor patio. Watermarc Restaurant: Located in the very heart of Laguna Beach, this restaurant serves a variety of well known dishes, such as pizza and steak, and always uses the very best ingredients. It is owned by the award winning chef Marc Cohen. The Studio at the Montage: This restaurant, which overlooks Treasure Island and Aliso Beach, was designed for intimate occasions. In the restaurant's small, low-lit rooms, you can enjoy such dishes as scallops, duck breast, and tenderloin, along with one of the 30,000 bottles of wine they have in stock. K-ya Bistro: Come for breakfast, lunch or dinner, and walk through the historic Casa del Camino Hotel to the rooftop where this restaurant is located. You'll enjoy great food and stunning views. According to the website, this is where the Laguna Beach nightlife begins. To soak in as much fun in the sun as possible, you'll want to stay in Laguna Beach as long as you can. For a unique experience, try one of the following accommodations. The Montage Resort: Guests at the Montage Resort and Spa have the option of staying in a guestroom, a cozy bungalow, or a luxurious suite. Guests who stay in guestrooms or suites can relax and enjoy the view from a balcony or patio, and then retire inside to soak in luxury tubs located in expansive marble bathrooms. The Surf and Sand Hotel: Unassuming from the street, this hotel offers one of the most elegant resort settings in the area, with comfortable rooms, suites, dining, and resort amenities. On a clear winter day, you can sometimes look out your hotel window and see dolphins frolicking in the surf. La Casa del Camino: Guests at this Mediterranean-style historic landmark will luxuriate in fluffy down pillows and comforters while they read complimentary newspapers and enjoy a comforting continental breakfast. The hotel boasts a spa and fitness facilities. It is also home to an elegant restaurant that features Mediterranean food, a world class wine list, and an intimate atmosphere. Pacific Edge Hotel: With views of Catalina Island and the Pacific Ocean, this hotel offers a casual, laid-back experience. Relax on the beach or swim in one of the hotel's heated swimming pools. You can also enjoy the many shops, restaurants, and art galleries that are within walking distance of the hotel. Hotel Laguna: On its website, this hotel calls itself the "world famous Hotel Laguna." Never heard of it? Well, as the first hotel to open in the area over one hundred years ago, it has attracted guests as renowned as Humphrey Bogart, Lauren Bacall, and Erroll Flynn. Best Western Plus: Just "99 steps from the beach" and surrounded by some of the area's best restaurants and shops, Best Western is not only a good family budget option, it's a reasonably-priced hotel that has refused to compromise on location. Features include a swimming pool and a free breakfast. Sunset Cove Villas: These one to three bedroom villas are located only meters away from Sleepy Hollow. So after a day of swimming and surfing, you can come back here to enjoy satellite TV, Wi-Fi, lounge decks, and stunning views of the coastlines. With so much to see and do in Laguna Beach, it's a good idea to research all your options before you finalize your itinerary. That way you'll be sure not to miss any of the attractions you really want to visit.